A lot of companies are doing business with overseas companies these days and if you’re one such company and would like to make sure that you save on shipping costs, then it certainly pays to consider using a freight shipping service. No matter what you’d like to ship, be it large items or smaller and more fragile items, you can easily ship them by choosing the right company to handle this for you. Depending on the number and also the type of items you want to ship, it’s best that you do some research online in order to see if there are shipping services that are specialized in shipping them. For instance, you would certainly not want to choose a standard freight carrier and have them ship art pieces that are worth tens of thousands or even millions of dollars. For this, there are special shipping services that can help you with that. They are very experienced and will take extra care of your art in order to ensure that it arrives to the destination of your choice in excellent condition. Now some people would like to ensure that their items are shipped very fast and that they reach their destination within a fixed period of time. If that’s the case, then you should consider shipping them using a faster shipping method, such as air freight. Sure, no one denies that this shipping method is a lot more expensive than sea freight for instance, but the good news is that you can have the peace of mind it’s going to reach its destination on or before the expected delivery date. It’s very important that you talk about costs with the shipping carrier of your choice. 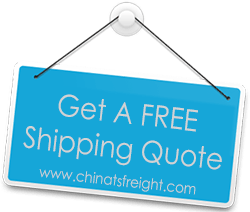 For example, if you are shipping heavy items and are shipping a lot of them every week, then you can certainly ask the freight carrier to give you a better rate. In some cases, you can save up to 50 % which is certainly good news since that’s a lot of money when you think about it. Lastly, make sure that the freight carrier you’re using delivers your items on time and doesn’t delay. That’s because if the items get sent to your customers and the delays are long, this is certainly going to hurt your business in the long run.